The Jewish Leadership Blog: Palestinians' Latest "Apartheid Fatwa"
The mufti's position parallels that of a US Supreme Court judge. If the mufti issues a legal opinion or religious decree, his people and leaders are expected to abide by it. With the new fatwa, Abbas can go to President Trump and other world leaders and tell them, "I would truly like to make peace with the Jews; however, I am prevented from doing so by this fatwa, which bans Muslims from doing real estate transactions with Jews. Sorry!" One can only imagine the response of the international community had the Chief Rabbi of Israel issued a decree banning Jews from doing business with Muslims. 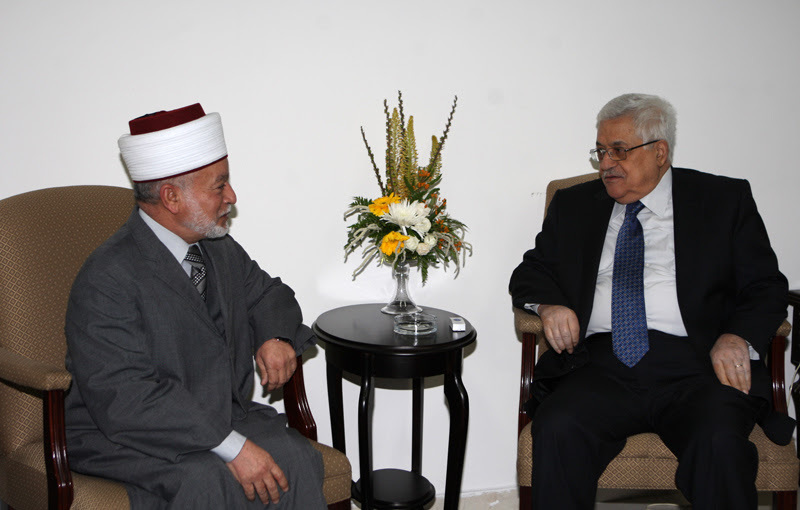 But in the instance of the Palestinian mufti and his superiors in Ramallah, everything seems to be fine -- once again, the international community turns a blind eye to the Palestinian leaders' apartheid and their terrorizing of their own people. If anyone wanted further proof that no Palestinian leader would ever be able to recognize Israel's right to exist, it was provided recently in the form of yet another religious decree, or fatwa, issued by the Grand Mufti of Jerusalem, Sheikh Mohammed Hussein. It is a fatwa that basically tells Muslims: "We will kill you, punish you in many ways, if we catch you selling land or homes to Jews." The fatwa makes it clear that no Muslim is entitled to sell his or her land -- or transfer ownership over it -- to "enemies," a reference to Jews. The implications are extremely serious. Anyone who violates this religious opinion or decree will face various forms of punishment, ranging from being boycotted to the death sentence.